There is now a lot of choice if you are looking to pick up a new tablet PC especially if it is running the mobile software from search engine giant Google, and today we are comparing the recently announced Samsung Galaxy Tab 3 vs the Nexus 7 in an Android OS showdown. 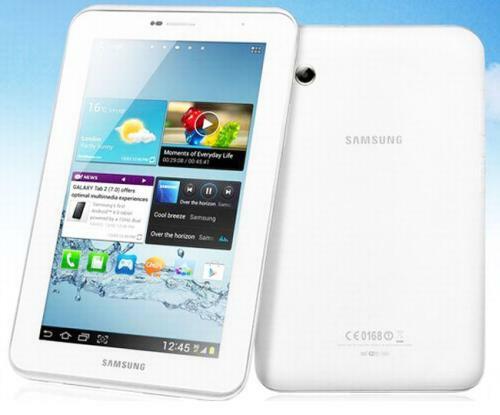 The Samsung Galaxy Tab 3 has been officially announced by the company and we have already compared the device to the iPad mini, but now we are looking at how it shapes up to the market leader on the Android platform. The new kid on the block from Samsung has a 7-inch TFT touchscreen display with a resolution of 1024 x 600 and a 169ppi pixel density, while the Nexus 7 also has a 7-inch display with a resolution of 800 x 1280 and 216ppi. The Nexus 7 has the quad core Nvidia Tegra 3 processor clocked at 1.2GHz under the hood with 1GB of RAM, which compares to the Galaxy Tab 3 that has a dual core unit running at 1.2GHz also with 1GB of RAM. While the Samsung may have less power than its rival it beats it hands down in terms of storage as it comes in either 8GB or 32GB flavours that can be expanded by another 64GB via a micro SD card. This compares to the Nexus 7 that either comes in 16GB or 32GB of non-expandable memory. The Nexus 7 only comes with a 1.2-megapixel unit fitted to the front of the device while the Galaxy Tab 3 has a 3.15-megapixel unit on the back, and a 1.3-megapixel front facer. The Asus Nexus 7 is currently running on the latest Android 4.2.2 Jelly Bean OS while the Galaxy Tab 3 will launch with Android 4.1 on board. Asus has fitted a 4,325 mAh battery to the Nexus 7 that measures in at 198.5 mm x 120mm x 10.5 mm weighing 340grams for the 32GB+3G model, while the Samsung is 188mm x 111.1mm x 9.9mm and weighs 302grams. To begin with the Galaxy Tab 3 is only available with Wi-Fi and Bluetooth 3.0 with a 3G version promised for later, while the Nexus 7 comes with both Wi-Fi and Wi-Fi + 3G options. The Nexus 7 can be purchased for Â£159/$199 for the 16GB model or Â£199/$249 for the 32GB version, while at the time of writing Samsung has not revealed any pricing for its new tablet but it will have to be competitive considering a new model of the Nexus 7 is rumoured to be close that may mean the current model being discounted. dont forget also that the 3g version of g tab 3 is rumoured to be able to make and receive calls and possibly sms text messages too ! !